Services are scheduled for 2:30 p.m. Friday, Oct. 30, at Our Lady of Grace Catholic Church for Dionisio Bustamante Madrid of Hobbs. 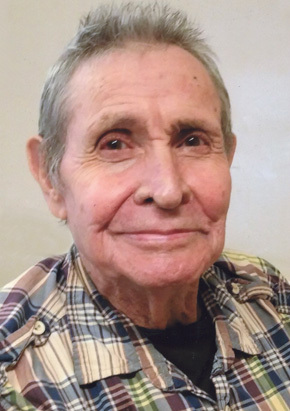 Madrid, 81, passed away Sunday, Oct. 25, 2015, at Hobbs Health Care. Fr. Martin Cornejo, OFM, will officiate at the services, with interment to follow at Woodbine Cemetery. Pallbearers will be Jerome Ochoa, Jeff Ochoa, Salvador Rubio, Lorenzo Madrid, Joey Ochoa and Enrique Armendariz. Visitation will be held from 10 a.m. – 5 p.m. Thursday at Terpening & Son Mortuary. A rosary will be recited at 2 p.m. Friday at Our Lady of Grace. Madrid was born Nov. 5, 1933, in Chihuahua, Mexico, the son of Carmen Madrid and Ramona (Bustamante) Madrid. In 1959, he married Lydia Urquidez in Carlsbad. He was a farmer and member of Our Lady of Grace Catholic Church. He enjoyed going to the horse races and the casinos with his family. Survivors include daughters Diana Madrid of Englewood, Colo., Rose Madrid and Tommy Gonzales of Hobbs, and Sonia Madrid and Steve Romero of Littleton, Colo.; son Dionisio Madrid Jr. of Englewood; sister Tona Baca of Juarez, Mexico; grandchildren Jerome Ochoa, Jeff Ochoa, Ashley Ochoa, Salvador Rubio, Vanessa Hinojos, Lorenzo Madrid and Hailey Madrid; great-grandchildren Carissa, Joel and Ariana Ochoa, Joaquin Ochoa, Adrian, Angelina, Arielle and Aaliyah Rubio, and Dillon Martinez; and his pet, Cecil, and grandpet, Charlie. He was preceded in death by his wife, Lydia Madrid, on Dec. 14, 1986; his parents; sisters Socorro Madrid and Carmela Marquez; and grandchildren Bianca Uribe and Joel Ochoa.